Life can be unfair. We often do not get what we believe we deserve. 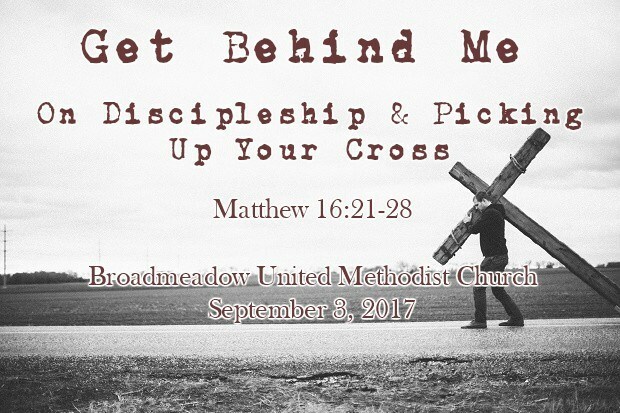 For the the rest of September at Broadmeadow UMC, we'll be focusing on three passages from Matthew's Gospel that challenge our notions of fairness, and how God's idea of fairness is fortunately very different from ours. Who do we say Jesus is? Not who does the Church say he is. Not who does the culture say he is. But who do you say Jesus is? It's a big question. We're going to talk about that at Broadmeadow this Sunday. You're invited to join us. We hope to see you there!